Frandy is equipped with all the amenities expected from the modern day angler, but at the same time we are being careful not to affect the fishery’s natural beauty and immediate surroundings. 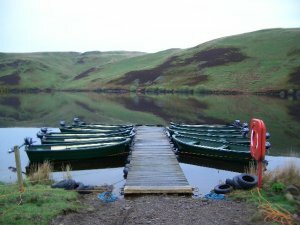 There is a large car park situated beside the lodge and reservoir making it easy to carry the ever-increasing quantity of fishing tackle to the boats or bank, and assistance is available for anyone who requires it. Tea, Coffee and snacks can be purchased at the fishery lodge. There are 14 15′ boats for hire & petrol outboards are available for hire for £10 per session. Lifejackets are available for those who do not have their own. 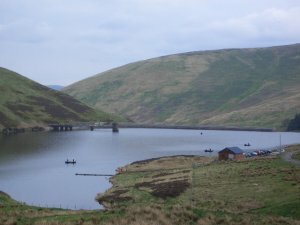 Coupled with the fishing, there is the opportunity to enjoy the wonderful surrounding countryside. There are well-established walks through the glen with the opportunity of viewing the varied wild life.